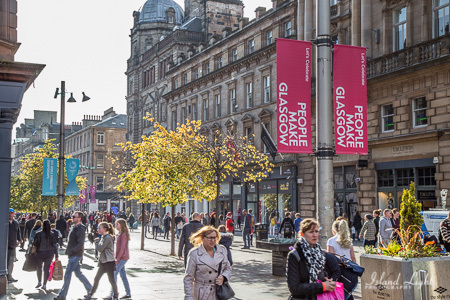 The welcoming city of Glasgow has a great number of tourist attractions and we can imagine that some will be looking for something a little different to do on their stay. Though there are many popular and fantastic eateries, attractions and entertainment venues, sometimes it pays to try something a little different. Here we’ve got some of the best kept secrets of the city in each category. There are hundreds of places to get your fill in Glasgow but for something different try one of our choices. Doubling up as a gallery the Hidden Lane Café has been lauded for the quality of its café cuisine. Wholesome food is available all day every day and it sits comfortably between Finnieston and the Kelvingrove Art Gallery. Along with scrumptious eats, the café is home to regular poetry readings, art group meetings and jazz sessions, creating a wonderful atmosphere. With a memorable name and even more memorable cuisine, Fanny Trollopes specialises in the finest fresh produce cooked in simple, traditional ways. You can enjoy the best Scottish beef and lamb, local fowl and game as well as seafood. It’s a bistro that is loved by locals and visitors alike. Address: 1066 Argyle Street. Booking a table at Ocho may be the best thing you ever do during your Glasgow stay. It’s hidden in plain sight by the edge of the canal and offers tasty diner-style meals as well as a great range of drinks. Along with their café, Ocho also has a delicatessen that is great for a summer meal overlooking the canal. Address: 8 Speirs Wharf. Enjoying a spot of film or theatre is always a bonus if you don’t fancy spending your evenings in your hotel room. The Square Eyes Film Club and Glasgow Film Theatre are bound to keep you entertained. Square Eyes Film Club is the most exclusive cinema experience Glasgow has to offer. Film fans can enjoy a range of different titles at the luxurious five star Blythswood Square Hotel. With stunning surroundings and a truly premium experience, you won’t be disappointed. Glasgow Film Theatre, 12 Rose Street, is set in a stunning Grade-B listed post-art deco building which offers an eclectic mix of contemporary cinema, iconic to Glasgow, hosting the Glasgow film festival annually. A completely independent establishment, it is central to Glasgow culture and film fans from around the country have visited this cinema to enjoy a truly iconic movie experience. Glasgow is known for its vast range of cultural activity and there is always something to participate in. Here we have picked out two posts which are definitely worth a visit. Built in the 1980s, House of an Art Lover is based on designs by one of Glasgow’s most famous sons, Charles Rennie Mackintosh. 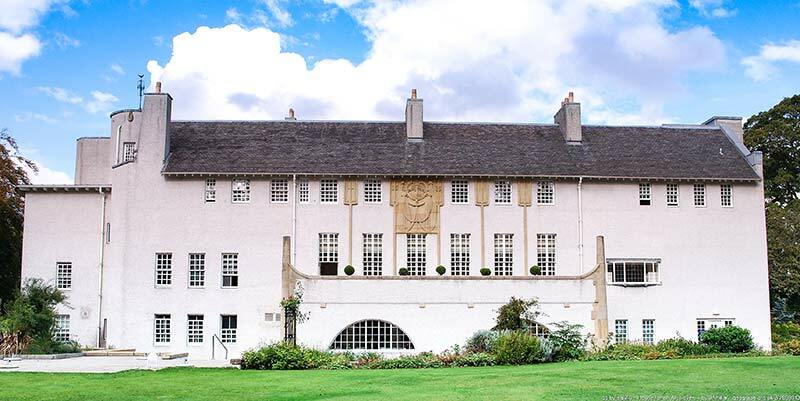 It sits in Bellahouston Park and has all the hallmarks of a beautiful Mackintosh design. It is a visitor attraction in its own right but also houses many different exhibitions and events throughout the year, check the events calendar to find out what’s on during your visit. Another claim to fame for Scotland’s second city it is home to the world’s oldest surviving Music Hall. The Britannia Panopticon opened in 1857 and Stan Laurel’s debut performance in 1906 took place on its famous stage. Many stars have graced the boards of the Britannia including Vesta Tilley, Cary Grant and Harry Champion. Today it can be enjoyed simply as an amazing piece of history, with museum style exhibitions all year round. Glasgow is a great city to visit when travelling around the Scotland and above are just a few places we think you shouldn’t miss out on.